The third remake of My Fair Princess 还珠格格 is back in the headlines after alleged casting requirements for the new Xiao Yan Zi, Yong Qi, Zi Wei, Fu Er Kang, Qing Er and Xiao Jian were leaked online. According to the requirements, production is looking for candidates over the age of 18 with good mental health, hardworking and no vices. They must possess - good looks, acting background and the ability to spark trending topics. According to reports, production is leaning towards casting rookies. 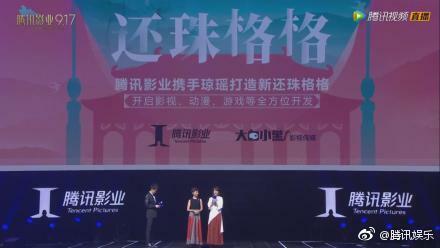 When the plans for a remake were initially announced in September by popular novelist Chiung Yao, it was revealed that they didn't believe in making an exact replica, but in retelling her original novel in a way that will be loved by the young people today. Filming is expected to begin in 2019. Rather than anticipation, I can't help but feel a little anxious that another classic is headed for ruin. It is still fun to see the speculations though. My eyes widened at the casting news a while back that caught everyone's attention before it turned out to be fake. If in case you're curious, Yang Zi was Xiao Yan Zi, Viann Zhang was Zi Wei and Dylan Wang was 4th Prince. I can actually see Yang Zi as Xiao Yan Zi. Omg, really? After that catastrophic failure in the previous remake? After the complete butchering of our favorite characters, they still thought it’s good idea to create another remake?? omg yesss! i could definitely see Yang Zi was Xiao Yan Zi! definitely has that sily, spunky kinda of vibe from her. I'm excited if this is actually happening. I think viann had a big weibo posting that she can't play Zi Wei because she is a weak character? Yang Zi as Little sparrow...absolutely not...she does not even look like a little sparrow character.....Qioung Yao teally should remake her other dramas and stop remaking Pearl returning princess....the last one was such a hige disaster...other than ZLY, no one else from that remake made it big. Vian Zhang is a yuck yuck yuck. I always view Zi Wei as a classy innocent girl who is intelligent, smart and wise with a compassionate heart. Especially that Ruby Lin played it with a natural face, and made the character weak in nature but her heart is bold and noble. 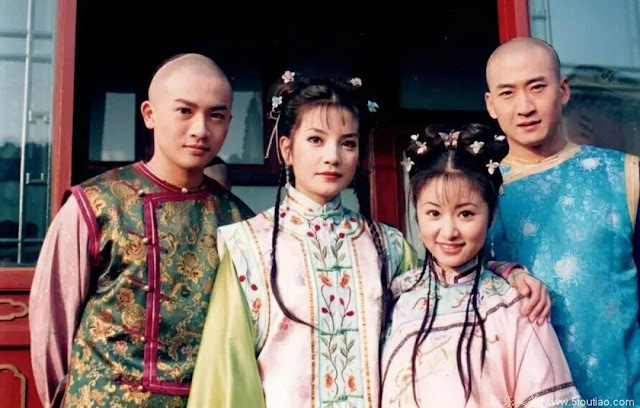 Last time Hai Lu, Zhao Liying, and Sun Yaoqi did not understand what ancient woman is...and they ended up playing as the dumbest cry babies ever who would cry at anything said to them, super sensitive as hell it was annoying and funny at the same time. Now, Vian is a scandalous lady who did tons of plastic surgery while her acting is also bad, and if she is going to play Zi Wei that is such a big turn off. In fact she shouldn't be acting anymore but just stick with modeling since she has a good looking body. I have a feeling C-dramas are really really really welcoming for the tiny looking girls, the ladies like Vian, Diliraba, Gulinazaar, even Zheng Shuang who tend to either be too tall or have too much of a mature look will not be liked as the female leads. Ancient C-dramas like those who look young, like Yang Zi who is not that pretty but because her size is really perfect for it. If somebody is going to play as Xiao Yan Zi, they should do it with their own taste. Don't do what Li Sheng did, she tried too hard to look like Vicki Zhao Wei when she just don't have those eyes (no matter how hard she tried to blink like VZW)... and also when do those annoying fake laughs... When VZW did them, she did them with ease because those were just natural things about VZW herself. I rather see a new Xiao Yan Zi as a "new" and different Xiao Yan Zi, it's better than seeing a new actress trying too hard to act as someone they cannot be. Same thing for Zi Wei character. Modern actresses today are just not good at playing the true gentle and elegant ancient lady type of roles. They all label them "weak characters" who wait for the men to help them...well the actual true thing is, these modern actresses skills are just not good enough. They would fail at this type of role so badly if they play it. It really comes down to the appearance as well...if they look modern and plastic, then they really won't be able to play the gentle lady roles, because they just don't have that classical look. They would come across as some Obviously modern girls acting obnoxiously weak...it's cheesy awkward and weird... while classical natural beauties like Joey Wong, Shui Ling, Rebecca Wang Yan, they can all play it with ease because they all have a natural and classic looks. They first off look convincingly ancient, and secondly good at acting. Modern girls look too modern to start with, their hair lines are always all very fake, and their acting are not good, while they usually don't understand their roles either. This is the type of role nobody knows how to play these days, and I agree they really should stay away from it. Unless they are natural looking enough and really good at acting at the same time. I recommend them to watch Shui Ling in The New May Flower, she is the clumsiest lady ever on earth who would faint at anything you say to her, throw everything on a table to the ground and break them (yes it gets so funny), however she really played it convincingly though, very lady like, it was a true ancient woman without a lot of annoyance like the ones today.